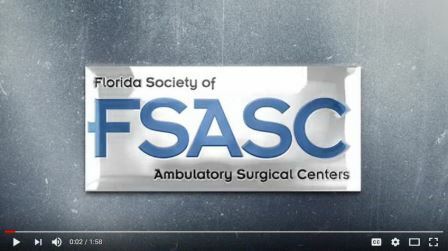 FSASC is asking all members to please help contact Florida senators to help pass the language in SB 7078. When you call or email, your message is that SB 7078 allows ASCs to keep a patient for up to 24 hours. This ensures that patients can stay long enough to recover without being transferred in an ambulance to a hospital, should they need more time to manage their pain. Medicare and 38 other states define outpatient as "less than 24 hours" not Florida's definition of "midnight". Please share this call-to-action with your physicians. With your help, we can help pass this legislation! Click here to contact your Senator!